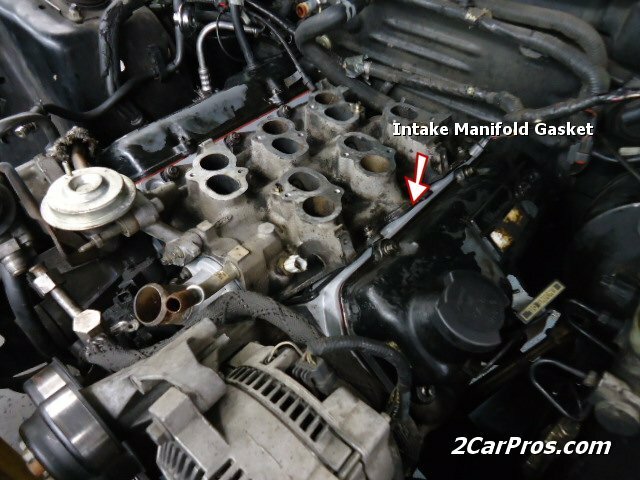 Step by step automotive repair guide on how to replace an intake manifold gasket, each application will be different, the repair will be similar in scope. Begin with the vehicle on level ground, engine cool (off) with the parking brake set. Use protective gloves, eye wear and clothing. 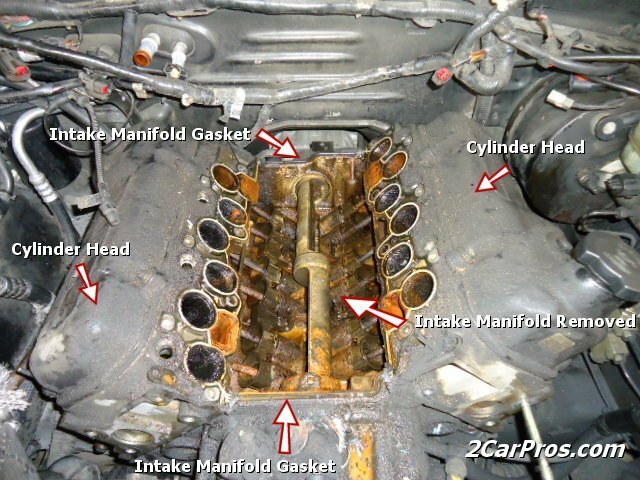 Step 1 - The intake manifold is sealed to the cylinder head using a gasket which deteriorate and fail over time. This is a normal occurrence and can happen more frequently when the cooling system has not been serviced. Some engine are designed with an upper and lower intake plenum. Step 3 - Once all upper intake accessories and manifold have been removed, remove all lower intake bolts. Then use a small pry bar to gently pop the in lower intake from the gaskets and remove the lower intake. ( Note: Before removal use an air pressure to clean excess dirt from the intake area.) After the lower intake has been removed, use a gasket cleaner (scraper) to rid the gasket surface of any old gasket/glue etc. Which will create a better sealing surface for the new gaskets, again taping off the intake ports to avoid engine contamination. 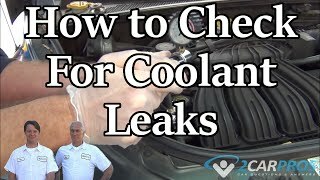 Step 5 - After starting the engine and reinstalling the radiator cap, check the job for leaks both fuel and coolant. If the engine is running poorly check the injector wires and coil wire/plug wire connection also heck for vacuum leaks. If further problems exist scan the PCM for trouble codes and repair accordingly. 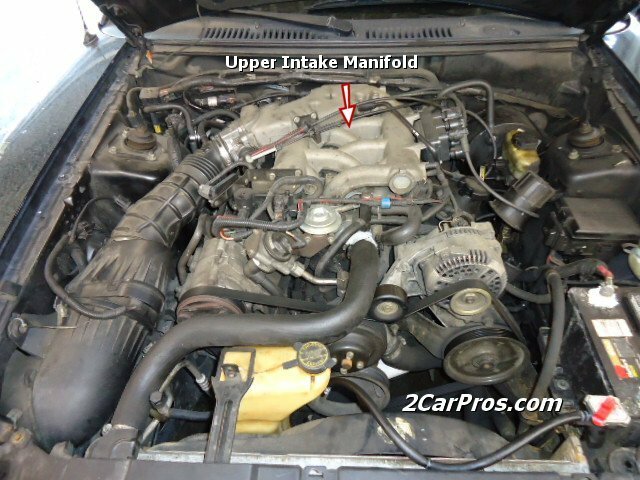 An intake manifold is constructed in aluminum or plastic and are prone to leakage due to high engine temperatures and corrosion. 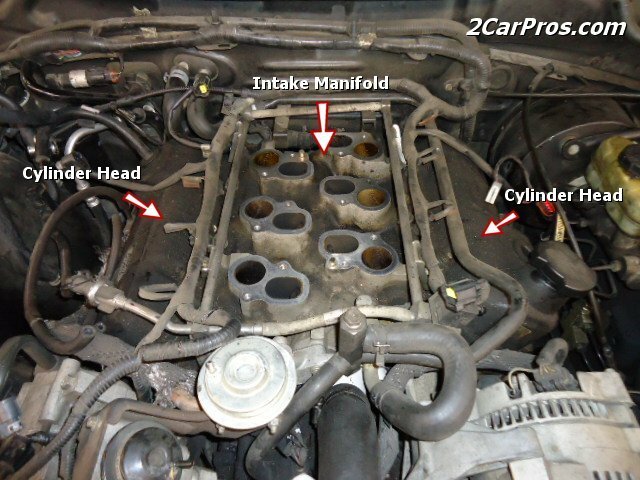 Replacement of the intake manifold gaskets is common among older and high mileage vehicles. Always be couscous of dirt falling into the engine and take pictures of the job before and during the repair to help in reassembly. 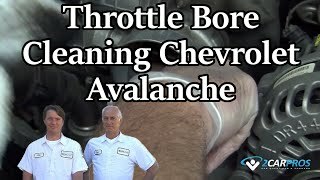 Re-torque the intake manifold mounting bolts after a few miles of driving to help seal the gaskets. 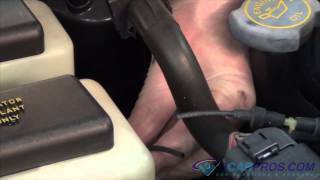 Replace the thermostat and gasket.